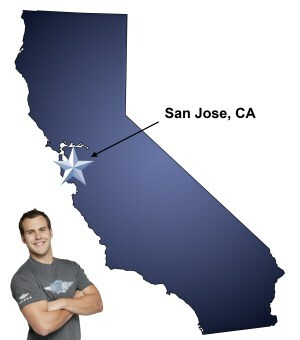 If your future includes a move to San Jose, check out Meathead Movers! Our professionally trained student-athlete movers, moving concierge, and princess packers are prepared to get you safely moved into your new home. With its prime location in the heart of Silicon Valley, San Jose is ground zero for anyone who’d like to break into the tech industry. As exciting as the job opportunities in this bustling city may be, it has plenty of other great things to offer. If you’re thinking about relocating and are looking for reliable San Jose movers, you can’t go wrong with Meathead Movers. By geographical size, San Jose is the largest city in the state of California. Its compact downtown is easy to manage by foot, which give the city a cozier and more welcoming feel. Charming areas like Santana Row will make you feel right at home in no time. Locals enjoy exploring this picturesque shopping district to dine, shop, and simply hang out. During the summer, outdoor concerts are performed every weekend and there’s a great year-round farmer’s market as well. The city is located at the southern end of San Francisco Bay, and it’s easy to make quick day trips into the City by the Bay. In town, you’ll enjoy close proximity to excellent cultural attractions like the Tech Museum, which pays tribute to the technologies that really put San Jose on the map. When it comes to moving, you can’t do better than Meathead Movers. No other company in the area offers features such as crews that are made up of clean-cut student-athlete movers, seven-days-a-week support and a team that is actively involved in the local community. There are plenty of reasons that we’ve earned a reputation for being the white knights of the moving industry. We offer superior local, long-distance, and commercial moving services. With us, you’ll have the same crew at your origin destination. You’ll also enjoy concierge moving services, which means we’ll help you with any bump along the road, such as finding new local service providers! We also provide reliable packing, storage, and on-site relocations. To ensure a quick, pain-free move to San Jose, you need to hire the right movers. With a 100% satisfaction guarantee, Meathead Movers is the obvious choice. Getting started is easy. Give us a call today for a free, no-obligation moving quote or to book a move today. Moving to San Jose? Here are some helpful resources. View more San Jose resources. Very responsive and prompt feedback before and the day of the move. Friendly customer support and movers. Very easy and pleasant experience over all. The gentlemen (Sam, Adrian, Leal and Zakry) that did our move were amazing. They stayed in touch before the move letting us know the timing of the arrival and loved the text of who would be coming. Everyone of them was respectful, checked with us when they had questions, worked well with us and together. They made the whole process so much easier. When Sam and Zakry did the unloading in Chino Valley they were careful and did all that could be asked for and needed. It was a pleasure working with them. Four pieces of my furniture/wall decor were damaged. I paid for the extra insurance but the carelessness of the crew is not acceptable. During the move a picture from was broken taking the picture frame downstairs to the moving trailer from my old apartment. This is in addition to the 4 pieces. I am thoroughly disappointed.